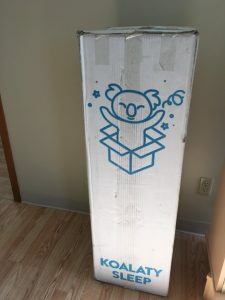 The Koala mattress is one of the first online mattress in a box startups made in Australia. 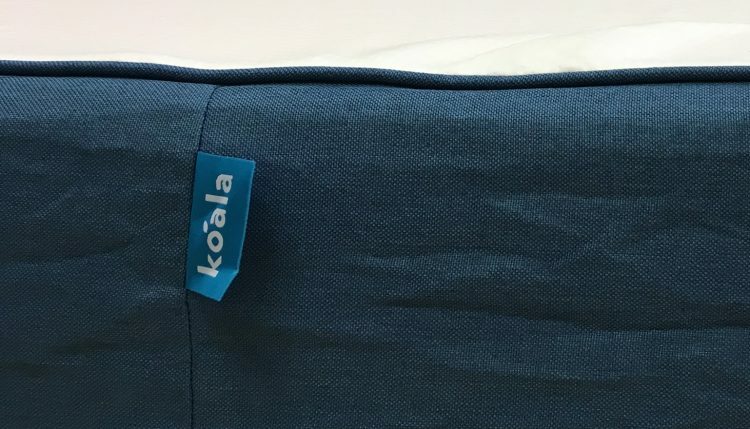 According to their website, Koala tested hundreds of mattresses and materials to create their mattress. Some of the highlights that they feature are low motion transfer and that it won’t sleep too hot or too cold. Below are my findings and overall experience of the mattress. According to the Koala website, your order will arrive in 3-4 days depending on where you live in Australia. They even say that Sidney, Melbourne or Brisbane, your order will arrive at your door within 3-4 hours! Here’s a video of me on the mattress shortly after unboxing it. The mattress comes compressed, rolled and vacuum packed in a box. 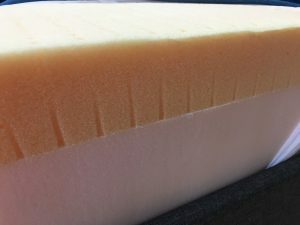 I didn’t see any exact specification of the mattress on the Koala website but it is an all foam mattress. I expected it to have some latex due to the fact that it recovers very quickly and has some bounce to it. Instead, this is due to the type of foam used. Here’s a picture of the inside of the mattress. As you can see it has 2 distinct layers, a base layer for support and the top layer which provides cushion, bounce and breathability. Below is a video that illustrates how the layers react. As you can see the foam is quick to recover meaning it won’t leave any impressions and keeps you afloat. The trade off is that this mattress will be firmer than a traditional foam mattress. As you can see below, the top layer has holes in it for breathability. This mattress is on the firmer end of the spectrum. 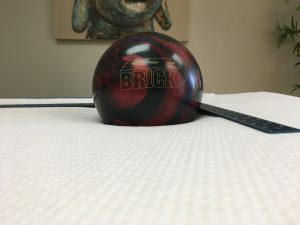 The photo below shows a 14 lb. bowling ball on the top of the mattress to illustrate how much sink or “hug” you can expect. I use an infrared camera from Flir to show how much a mattress will retain heat. 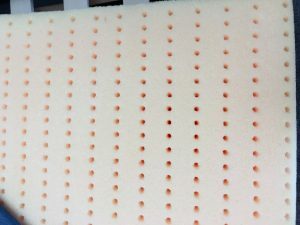 Given that mattress has holes and a less dense top foam layer than most mattresses, it does a good job of dissipating heat quickly. A queen size Koala mattress retails for $950 Australian dollars. That’s a good price for a memory foam mattress compared to other brands such as Tempurpedic. This mattress should be a good fit for most sleepers but may prove to be a bit too firm for side sleepers. I appreciate the breathability of the mattress and the overall design. The cover can be unzipped and washed which makes cleaning easy should it get dirty. I think the biggest complaint would be that it is just not conforming enough. However the trade off is you get a very supportive mattress with good bounce for an all foam bed. Given this mattress has a 120 day trial period where they will pick it up and give you a full refund, you really have nothing to lose by trying it out.